First of all you will have to do the training required for the competency certificate. This needs to be done at an accredited firearm training facility. It is not a big deal and usually takes 1 to 3 days. Here is a list of firearm training facilities – Training Facilities (I am not a training provider). The training facility will provide the firearms needed for the training. After you received the training certificate the application for the competency certificate can be done. Please note that the training certificate is not a competency certificate. You need to apply at the SA Police for a competency certificate (I can help you with your application). 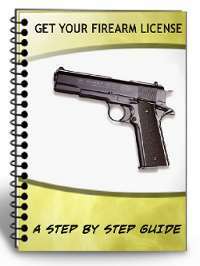 Without a competency certificate you can not apply for a firearm license. You need to apply at the SA Police for a firearm license (I can help you with your application). You need to fully motivate your application for a firearm license (I can help you with the motivation for your application). You can hand the application for the competency certificate as well as the application for the new gun license in at the same time, but you can not apply for a license unless you also apply (or previously applied) for a competency certificate (some police stations don’t accept both applications at the same time, they only accept the application for competency and after that is approved they will accept the new application). You need to hand the application in yourself as the police are going to take your finger prints. You can apply for a competency certificate before you buy a firearm but you need to buy / legally obtain a firearm before you can apply for a license as the firearm details and firearm serial number are required on the firearm license application form (I am not a gun dealer). The police will first deal with your application for the competency certificate and after that is approved they will proceed with your gun license application. 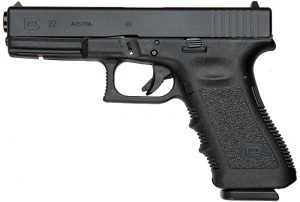 The firearm dealer or current license holder will have to keep the firearm until you firearm license is approved. You can only legally possess a firearm after your license is approved. Please complete the quotation form on the left if you need help with your applications for a competency certificate and firearm license. Feel free to ask a question here. It will be answered as soon as possible via email.